Darlinghurst Community Space Where Are We? 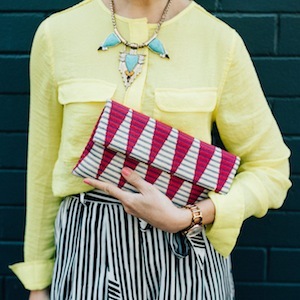 Summer is a time to be out and about enjoying yourself wearing beautiful prints and colour! Whether you’re dressing for the office Christmas party or enjoying a backyard BBQ, it’s a great time for you to step out in style. Join, personal stylist Lynne Stockdale in this fun workshop where you will discover the secrets to creating your ‘Summer Capsule Wardrobe’. You will create your dream summer style, discover your style muse and finally understand how to create a well co-ordinated CAPSULE wardrobe that ensures you are ready for any event that comes up over the next six months. Bring along your laptop or iPad, as we will create your vision online. Lynne Stockdale of Stylish You, is a trained image consultant, working with clients who want to enhance their personal style reflecting their unique personality. Colour is essential in any wardrobe and this forms the basis of every style consultation. With over 15 years experience in London and Australia from retail buying, store operations and retail training, Lynne brings the benefit of extensive and international fashion experience. The featured image is borrowed and edited, with thanks, from Lynne Stockdale.